From the Slate Islands to the Isles of the Sea. 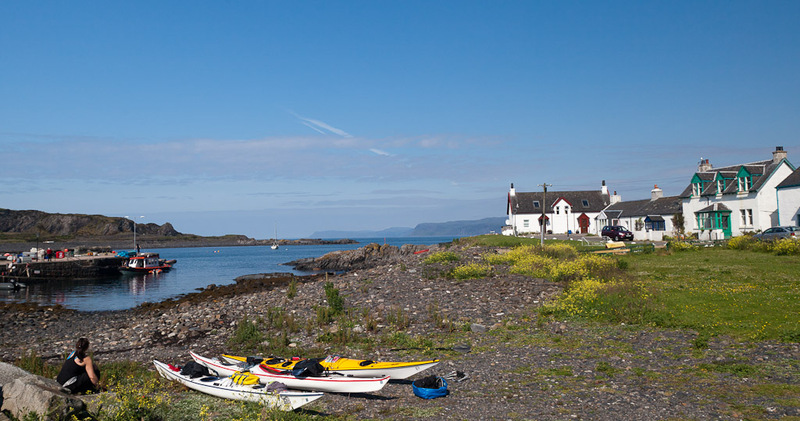 It was midsummer several years ago, when Jennifer, Phil and I met below the whitewashed cottages that fringe at the little harbour at Ellenabeich on the Isle of Seil. The harbour was built to service the slate industry, which once flourished in these islands. They were known as the Slate Islands or the "Islands that roofed the World". 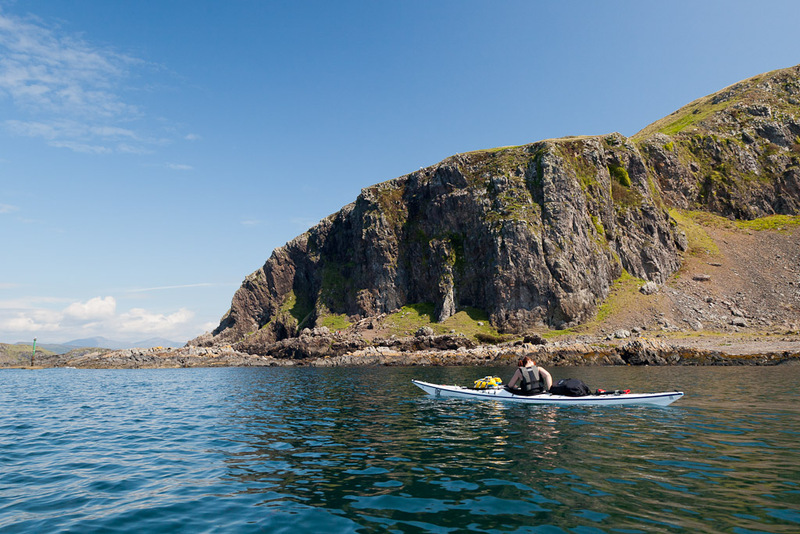 ...that we glided over the cool sea to the skerries of Easdale. Beyond the swell breaking on the reefs of the Slate Islands lay our destination, the Garvellachs...the Isles of the Sea. 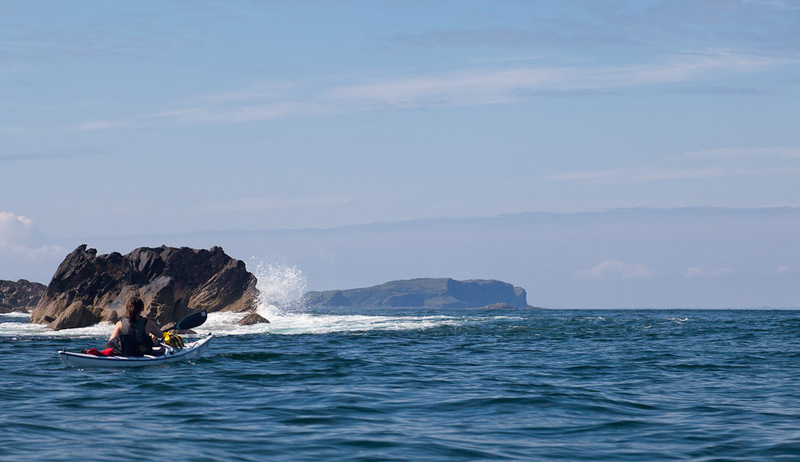 I need to get out sea kayaking again. 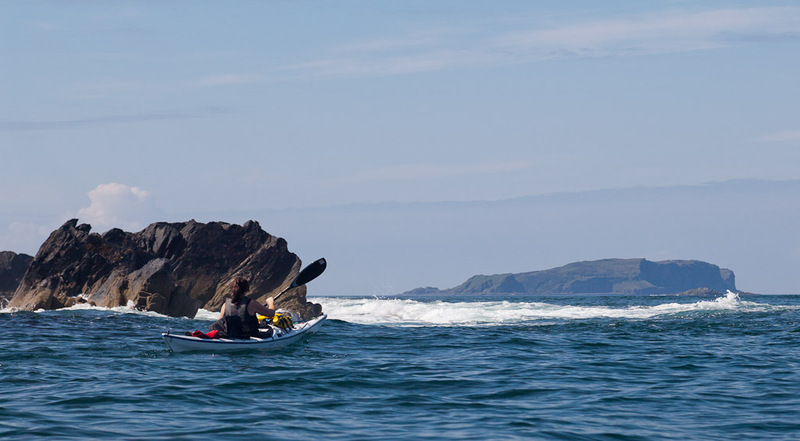 Several people have recently emailed asking if I have given up sea kayaking. I am pleased to report that my absence from the maritime environment is temporary albeit somewhat prolonged. I faced the double whammy of a shoulder operation followed by a knee operation in the second half of 2013. The two large screws are pretty obvious. The shattered bone round the screwheads might be noticed by some as might the 6mm tunnel through the patella (kneecap). The other tunnel drilled through the femur (big bone at the top) is not so easily seen. 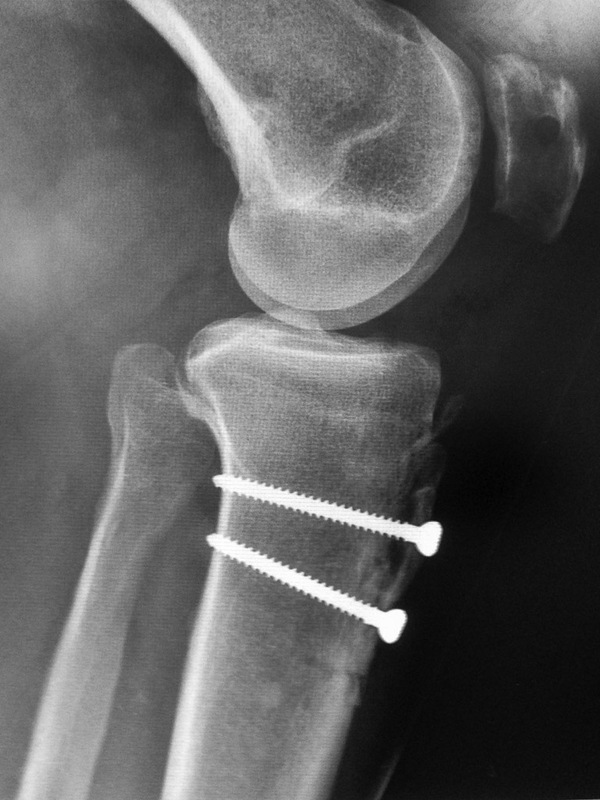 The six biocomposite screws don't show on X ray, neither do the harvested tendons from a sacrificed muscle or the diverted tendon from the medial hamstring show. Basically the ligaments that hold the medial side of my knee and knee cap have been reconstructed by a miracle of modern surgery. 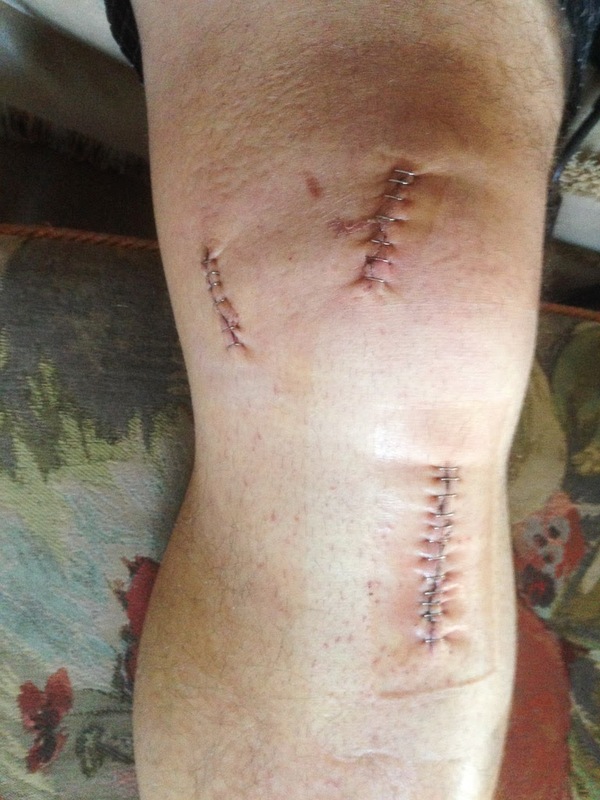 My left knee had been heading the same way as my right, which ended in a horrific dislocation while seakayaking to the remote island of Gunna in 2009. I now hope to have two stable knees, which will allow a return to sea kayaking and possibly other activities.